It is a well known fact that I love to celebrate my birthday. I mean how could you not want to celebrate your birthday when it falls on the first day of summer and the longest day of the year? My birthday also marks the glorious start of summer vacation. 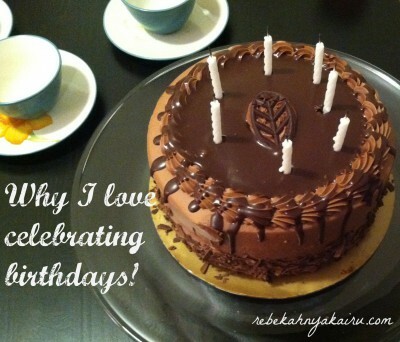 My husband says that I become an extrovert on my birthday as I love attention from others. I love knowing that people love and care for me. Whether it’s a phone call, a birthday card, a Facebook post, or a “happy birthday” greeting I feel blessed by all the people God has put into my life. Growing up, my mom made us simple birthday posters and hung them around the house. We were able to choose our birthday dinner and dessert. Strawberry shortcake was the natural choice as my birthday was during our town’s local Strawberry Festival. I truly embraced celebrating my birthday in my twenties. I loved my twenty-fifth birthday celebration. One of my best friends knew my love of birthdays and gifts and she indulged me. A large bouquet of balloons, collection of small gifts, and a thoughtful birthday card greeted me a the start of our evening. Throughout the rest of the evening, additional birthday cards continued to appear. 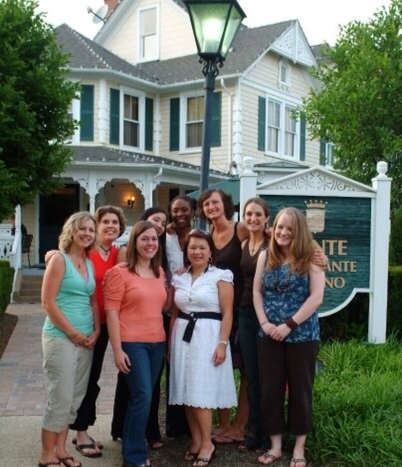 We went to a fancy Italian restaurant that was located in a beautiful, old Victorian house. Our leisurely dinner was full of friends, laughter, and stories. I had never felt so loved. Growing up, I did not have many friendships. I often felt lonely, awkward, and out of place in my school. While other girls had big birthday parties when they turned sixteen, I was acutely aware of my lack of friends and social status when I turned sixteen. While I enjoy attention and gifts on my birthday, what I truly treasure is the fact that God has now given me with so many meaningful friendships. I am overwhelmed by the sense of community He has blessed me with and the people who have influenced my life. During my twenties, I began to fully embrace and live in my identity as God’s beloved. Every year on my birthday, I enjoy going to a quiet park to spend time with my Abba Father. I reflect on the past year, soak in His love for me, and look forward to all that He has in store for me during the coming year. The God of the Universe is my Beloved King. He delights in me. Wow. I believe each birthday is worth celebrating. God created each person “fearfully and wonderfully made”. He crafted you and declares that you are marvelous. While I enjoy celebrating birthdays, God actually celebrates us each and every day. It tells us in Zephaniah that God “rejoices over us with singing”. As my thirty-second birthday approached, I realized this birthday would look a little different. It would be the first time I had to work on my birthday. I was thousands of miles away from most of my friends. This allowed me to step back and realize the most important thing I had not changed. Time with my Abba Father during a beautiful summer day. God was in the details of my birthday. I got out of work early. I enjoyed lunch at the Public Gardens. Thanks to technology I felt loved by so many people. This year, God had given me one of His very best gifts. My wonderful husband. A man who I had dreamed about, prayed for, and desired. And like any good gift, God shows me just how well He knows me through the gift of my husband. How lavish His love is for me! I hope you fully enjoy celebrating your next birthday. May you know how deeply God loves and delights in you! How do you celebrate your birthday? Do you have any favorite birthday memories?